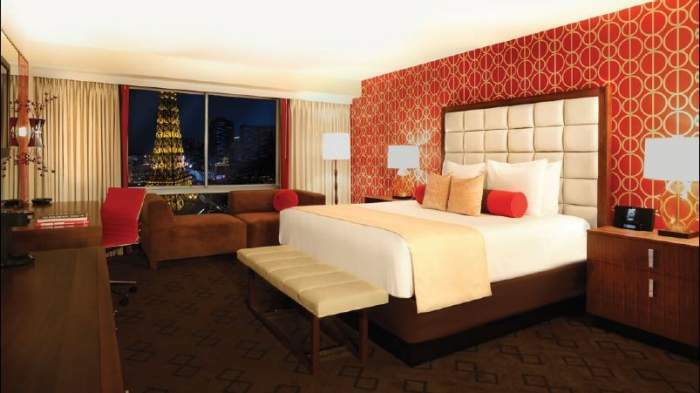 Book your hotel room at the 2019 NPPA Conference headquarters, Bally’s Las Vegas, in their North Resort Tower rooms, which were JUST RECENTLY remodeled top to bottom in spring of 2018 (see photos below). The Resort Tower rooms all have new beds, carpet, bathrooms, and other furniture—and, a mini-refrigerator as well! The NPPA rate for these rooms are $89/night+tax (normally $105+), with a mandatory Resort Fee of $35/night+tax. Resort Fee includes the following (on a daily basis): “Premium” Wi-Fi for 2 Devices (in sleeping rooms), Fitness Center Access for 2, and Free/Unlimited Local Phone Calls. These rates apply when booking under the NPPA Group Room Block by July 23, 2019. After the cutoff date, this rate may still be available, if the hotel is able to extend it further and the rest of the hotel is not sold out or close to it. 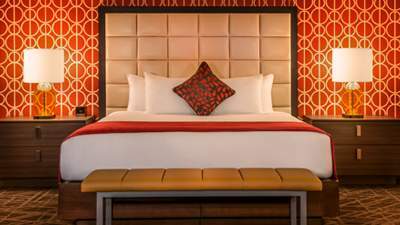 WIN A FREE HOTEL NIGHT (3 CHANCES): from all the NPPA registered Pharmacy Attendees who book their hotel at Bally’s Las Vegas, the 2019 NPPA Conference headquarters! 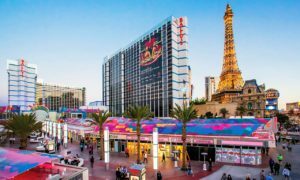 Simply make your Hotel Reservations at Bally’s Las Vegas, for the 2019 NPPA Conference. After the show, from our final rooming reports from the hotel, all NPPA guests will be entered in a random drawing, for 1 of 3 lucky registered Attendees, to be awarded 1 FREE HOTEL NIGHT ($89.00 plus tax and $35 plus tax Resort Fee). The 3 winners will be refunded by check, after the Conference. Exclusions for this promotion: GPO, Scholarship & Speaker-Attendees, or Vendor-Exhibitors, do not qualify. Location/Directions for all: The newly renovated Resort sleeping rooms are in the same Tower as our Meeting Space & Exhibit Hall, which means everything is easily and quickly accessible from the elevator that connects to your sleeping room! Starting in 2019, the NPPA Conference Lecture Hall where the main educational sessions are held, is moving back downstairs in the Ground level’s Grand Ballroom space (also where provided breakfast meals will be located). Another change for 2019 is moving the Vendor-Exhibit Hall to Bally’s Events Center space, which is at the end of the same hallway as the Grand Ballroom location for our Lecture Hall. To get to either location from your sleeping rooms, come down the Resort Tower elevator, take an immediate left and you’ll enter the hallway for the Ground/Casino Level Meeting Rooms. Check-in for both Attendees & Exhibitors is in the Grand Salon area just outside of the Grand Ballroom. Lastly, our Opening Reception will be held on the 26th Floor, in SkyView Rooms 5/6 (same Tower). Click on the following link to a Map of the Resort Tower Convention Rooms: HERE. Bally’s, a Caesar’s Entertainment property, is not only in the middle of all the action on the Vegas Strip, but it even has the Paris Hotel attached to it (another Caesar’s property), with the entrance to each within one indoor complex, so that you don’t need to go outside first, which can be a huge benefit when it’s summertime in Vegas. Just go to one side of the casino, through an archway, and suddenly, you’re in the other hotel! Click HERE for the full Map & Listings of Bally’s Casino/Ground Level lobby/facility areas, with the elevator banks, and entrance to the Ground Convention Area & Paris Hotel, as well as the Food Court & Shops in the Mall below the Casino Level (with the second page showing the listings by number as referenced on the Map on the first page, that provides the names of the Food Court places & stores available, and all hotel facility locations). NPPA’s Vendor-Exhibitors should be pleased at the carpeted and expansive Bally’s Events Center space where the Exhibit Hall will be held (starting in 2019). There will be plenty of room for our recently increased number of exhibitors and the attendees calling on them, without it being over-crowded. However, what is attending a conference without its distractions? 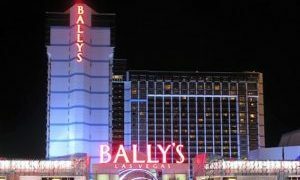 Bally’s boasts nearly a dozen restaurants, ranging in both price and variety to suit every need and budget. This doesn’t even include the full-service Fast-Food Court that is located downstairs along with other shops (boutiques, gifts, etc.) And the fact that with Paris Hotel down another hallway of the complex, it means that you also get all of the Paris restaurants available to you with just as easy an access, giving you DOUBLE the number of restaurants and other amenities in close walking distance, all without having to venture outside!